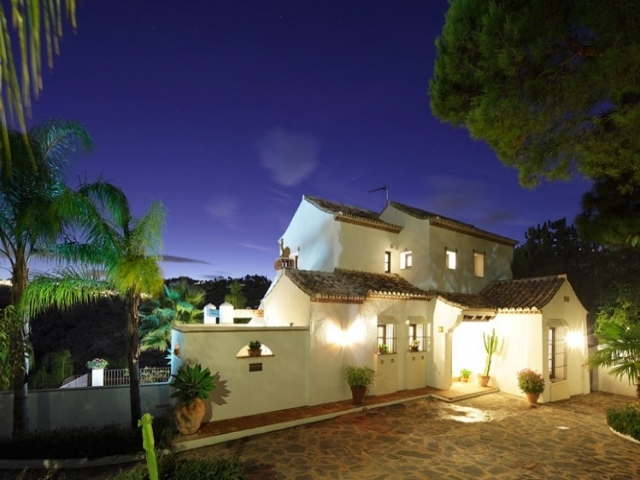 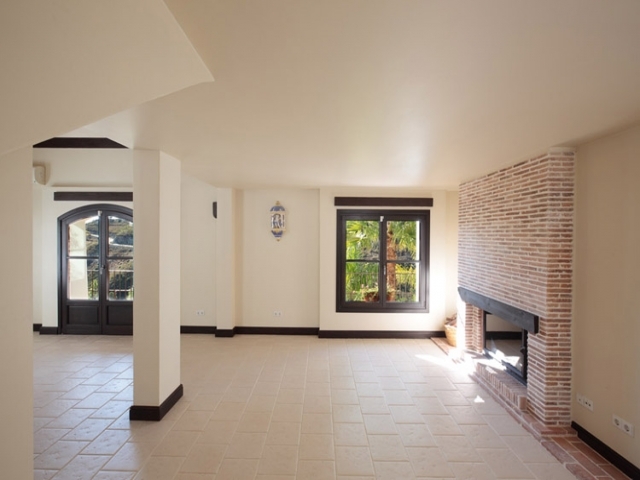 Beautiful four bedroom villa for sale in the exclusive residential complex El Madroñal, Benahavis. 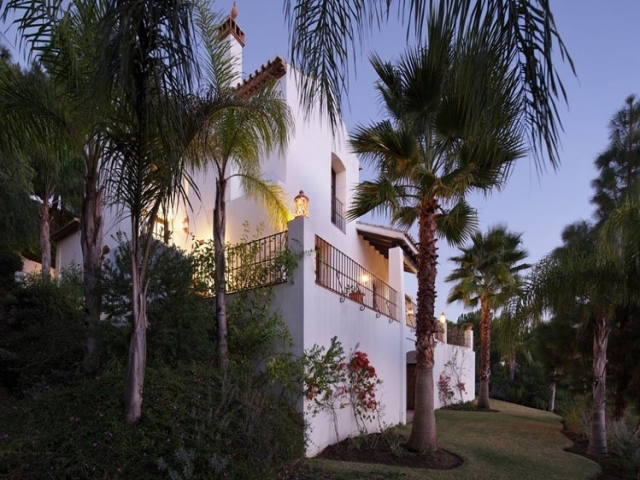 Situated in an extremely desirable area, just a short drive to Puerto Banus, Marbella and San Pedro de Alcántara, El Madroñal exudes luxurious Andalusian charm and has 24 hour security. If you are looking for a home which offers peace and quiet, privacy and stunning surroundings, this could be the perfect choice. 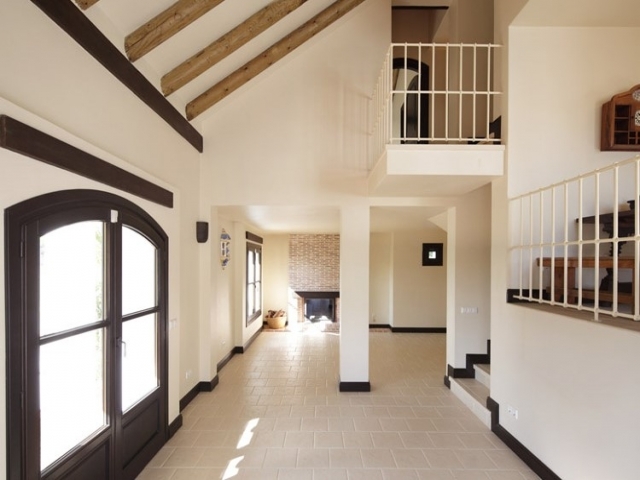 The house has been built with quality materials and is full of unique hand-crafted details. 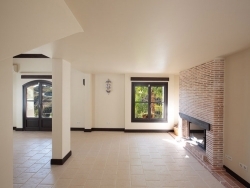 It has been very well maintained and is in impeccable condition. The property provides spacious accommodation with large living areas and kitchen, four bedrooms and three bathrooms. 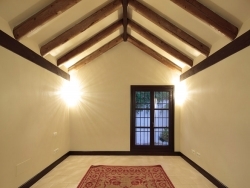 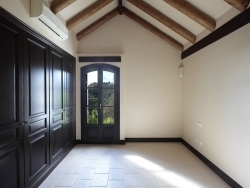 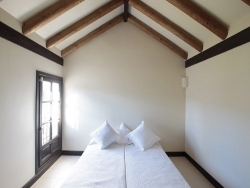 The bedrooms have stunning vaulted ceilings. 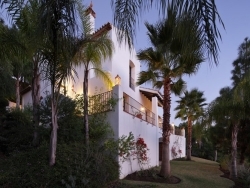 Outside is a lush private garden with swimming pool and car port. 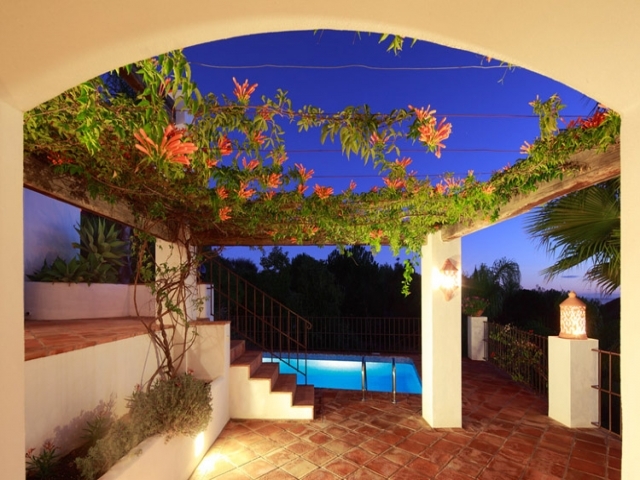 There are also various terraces with fabulous views including sun set due to the villa's south-facing position; you may even be lucky enough to catch sight of deer, boars and other wild animals in the protected green areas! 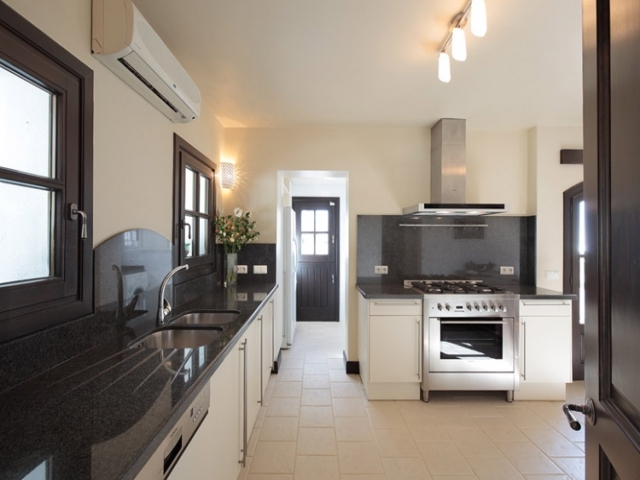 This four bedroom villa could compete with any new build - the combination of traditional charm and excellent upkeep make this a property well worth viewing. 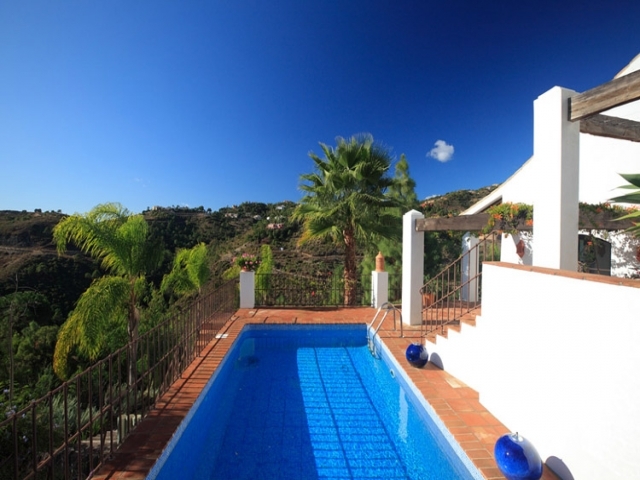 A delightful family home in a beautiful spot on the Spanish coast.